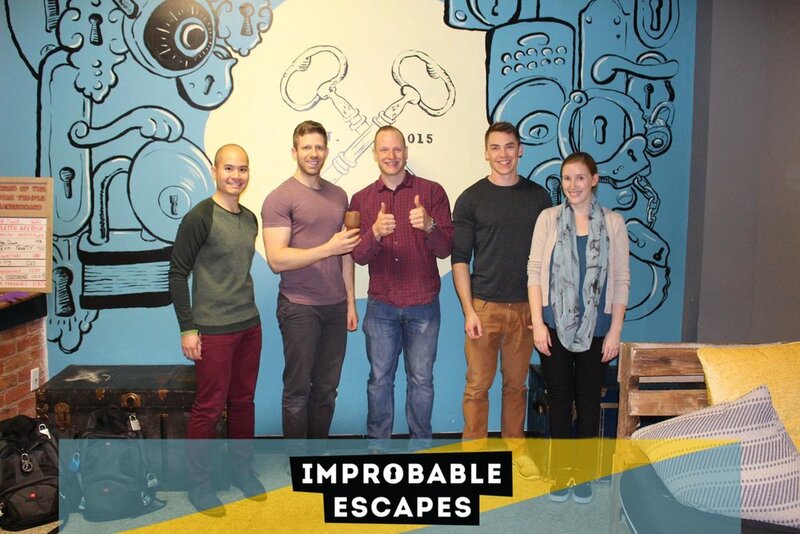 Improbable Escapes is the perfect place to unwind after a long day of studying. Come in with your friends, have some good laughs and relax. We offer a variety of themes for a variety of different personalities and interests. We allow you to make the experience whatever you want it to be. Make it your own. We allow your mind to escape from real world problems for a little while and allow you to take your mind somewhere else. You get to solve a series of puzzles and riddles using clues, hints and strategy to try to escape. It’s a great way to get to know both yourself and your friends! Escape rooms are a great way to get to know people. Making new friends and connecting with old friends are two different opportunities you have with Improbable Escapes. It’s the perfect place to meet for an enjoyable evening out, full of laughs and guaranteed a great time. Change it up! It’s nice to find new things to do to get your mind off of stressful things (such as school). Kick back and relax by coming to Improbable Escapes to play a game with your friends. We offer all multiple themes for all kinds of different personalities. You make this experience your own. Improbable Escapes is full of different themes, ideas and stories. While playing our games you will run into things that will force you to think outside of the box. Once you leave here you will continue to force yourself to think outside the box in real life situations. Make Improbable Escapes your new favourite pastime. Join our exclusive league where you will be the first to know all our new games and features. We will also have contest giveaways, fun facts and so much more. It’s a great way to become involved with Improbable Escapes! Join our newsletter below. Improbable Escapes is a guaranteed fun time. You will have some good laughs with friends, and we promise you will have an enjoyable experience on your night off- all while making awesome memories with your pals. Ready to book or looking for more information? Call us at 343-333-3463, send us an email at info@improbableescapes.com, or fill out the form below.